The Fender Passport 300 Pro is a 300-watt professional grade PA system. 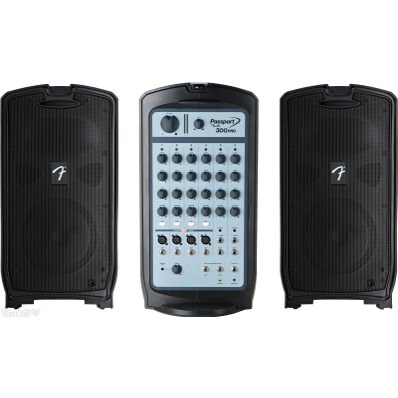 The package includes the mixer, two speakers with stands, and 25' of speaker cable. Also available as a 150-watt consumer-grade unit.